ADDED - CTRL+X, CTRL+C, CTRL+V for cut, copy, paste. ADDED - Cut and Copy now switch to Paste after use. CHANGED - Actions now operate on key press rather than key release, making CTRL+KEY operations easier. CHANGED - Paste rotation and reflection reset on cut or copy operation. CHANGED - the delete part of cut action now respects symmetry. 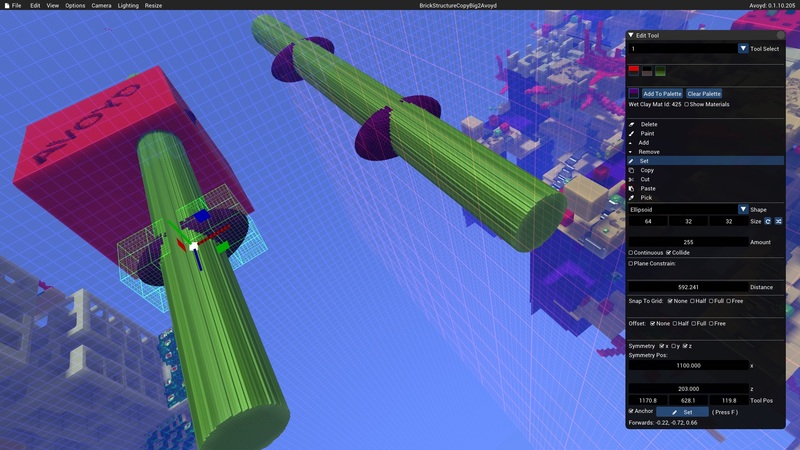 FIXED - Cylinder crash with symmetry planes. FIXED - Cylinder orientation with symmetry planes. FIXED - Symmetry planes with multiple paste rotation axes.